Update: This article features the game ‘Doctor Flow’ which has recently been released on Steam! Visit the Steam store page here. Above is a screenshot from a piece of tech we’ve made for our latest game: Doctor Flow. 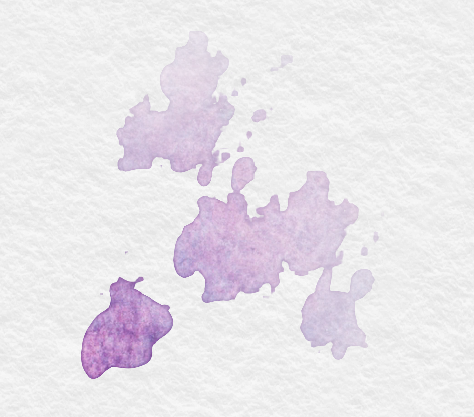 The screenshot demonstrates the procedural water paint stains we use to give feedback about the player’s performance. As you make more mistakes, these stains grow bigger and denser. In this article I will be explaining how we did this harnessing the power of signed distance fields. Let’s start with a little bit of background. 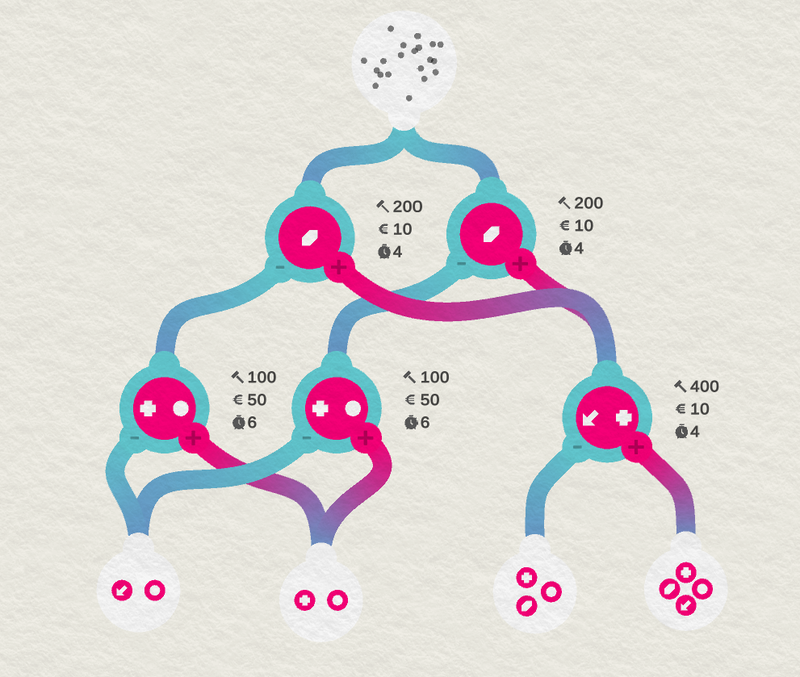 Doctor Flow is a puzzle game in which you must diagnose patients as efficiently as possible. You do this by building a flow chart that guides each patient to the correct diagnosis based on the symptoms he or she is exhibiting. Besides being a fun puzzle game, this game actually helps medical doctors get insight in how their decisions affect the hospital bill and satisfaction of their patients! This is known as Value Based Healthcare. If you want to try the game yourself, it will be free to download on Android and iOS soon! When you make a mistake in configuring your flow chart, patients get assigned the wrong diagnosis. To signal his mistake to the player, we wanted a visual indicator that could increase in intensity the more severe your mistake becomes. In an early concept art mockup, our artist added water paint stains to fulfill this function. The whole development team really liked this idea, so we had to find a way to implement it properly. Texture size: There are almost no textures in the rest of the game. All the visuals are vector based and are drawn with flat colors or simple gradients. This keeps both our build size and load times extremely low. We weren’t willing to sacrifice that by adding loads of variations of a paint stain texture. Every game programmer’s mind probably instantly jumps to the same solution when thinking about these challenges: Procedural Generation! 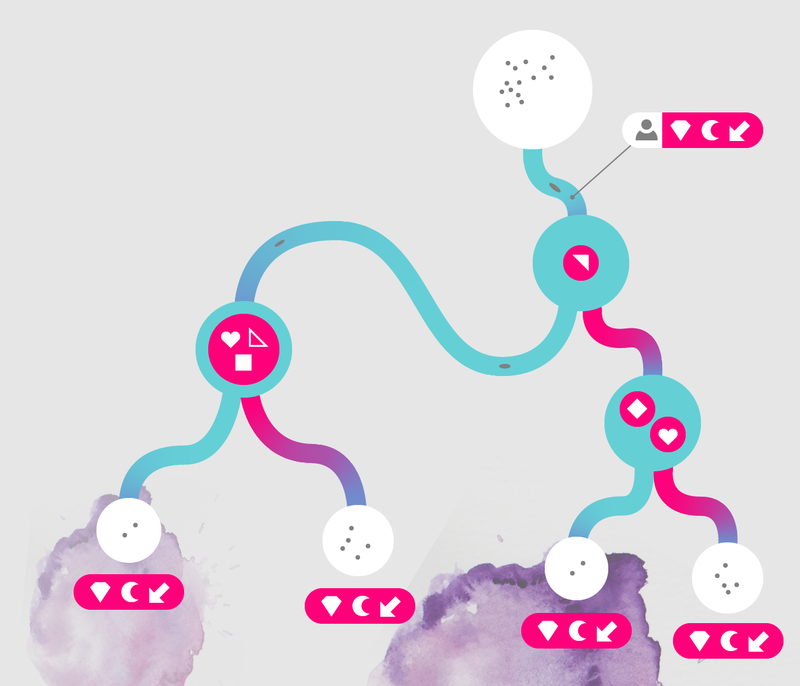 The programmer tool for creating pretty visuals, just with code (well, mostly with code, we also need some textures). All right, we’ve decided procedural generation is our way to attack the problem, but what weapon will we use? 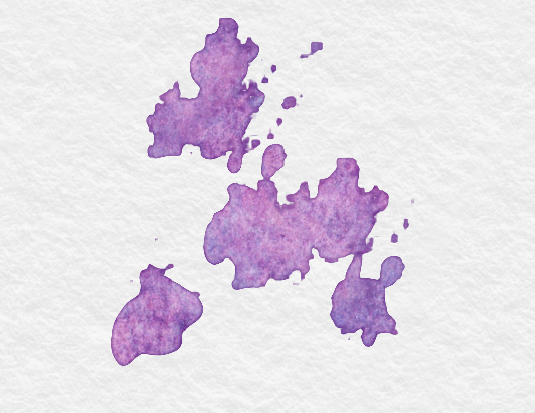 Well… let’s look at another water paint stain. There is not much detail inside the individual drops, it mainly consists of low frequency color transitions. The silhouette is more important than the pattern. Individual drops are roughly the same shape with small variations or stretched in a single axis. Luckily, there is a technique that allows us to render smooth shapes using low resolution textures AND allows us to easily add dynamic borders. Signed Distance Fields to the rescue! Normally, you can instantly notice when a low-resolution texture is upscaled by the ugly smoothed edge where pixel values are interpolated between the filled-in part of the texture and the transparent part. However, there is a very neat trick where you do not treat the pixel values of a texture as color values, but as a distance to the shape you want to render. This is known as a distance field. You can see an example texture below. If you then upscale the texture, it doesn’t matter that values are interpolated. 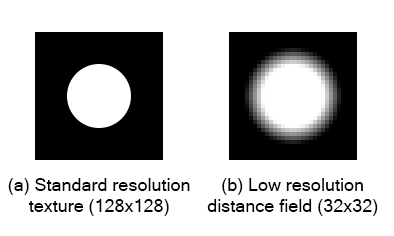 A distance field texture consists of a smooth, linear gradient. 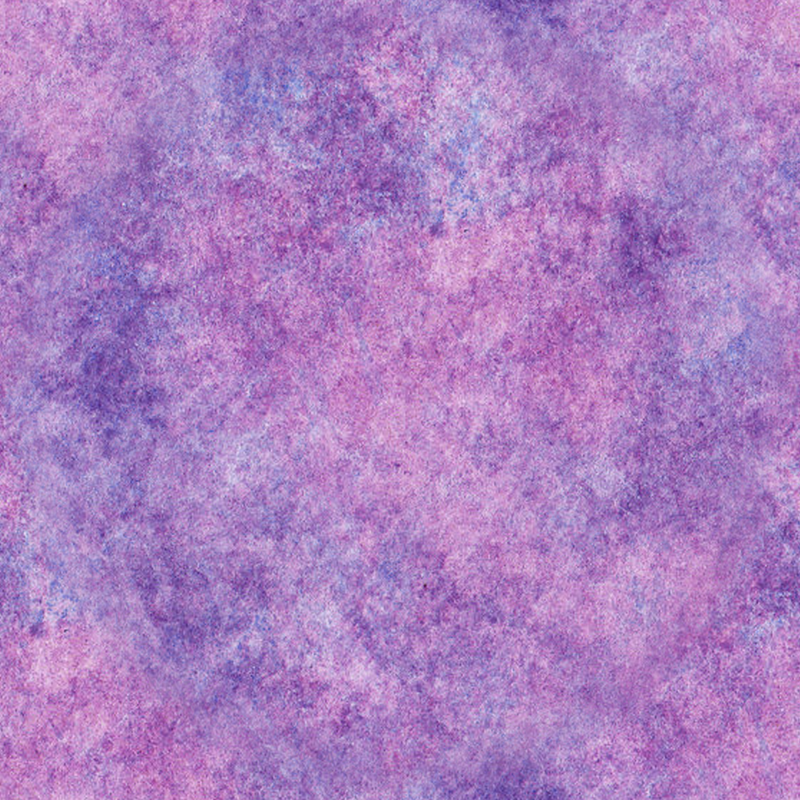 Interpolating between pixels in this gradient always gives mathematically correct values! // The SDF texture, only the alpha channel is used. 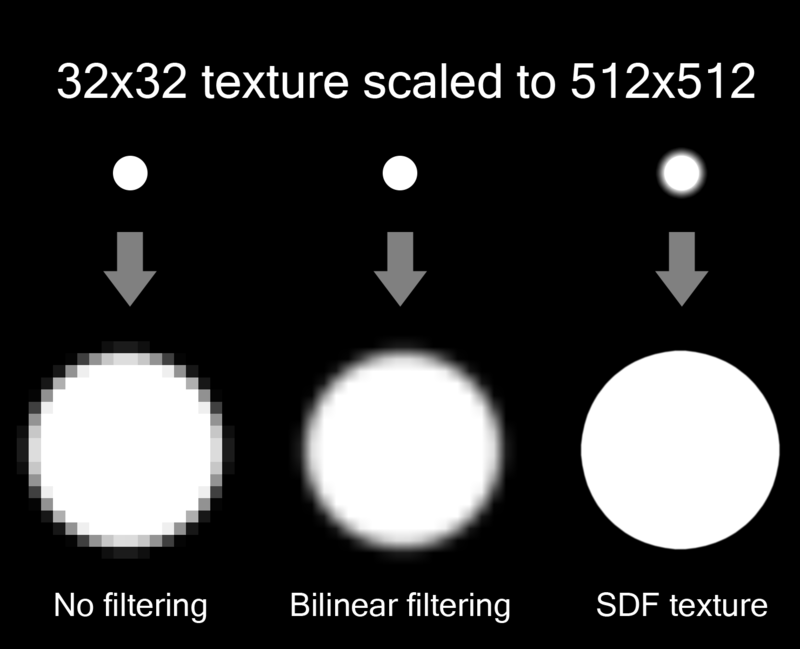 Figure 4: Comparison between upscaling a texture using filtering and by using the texture as a signed distance field and our specialized shader. So, we have a method of creating shapes with crisp silhouettes based on very small textures, how does this help us? 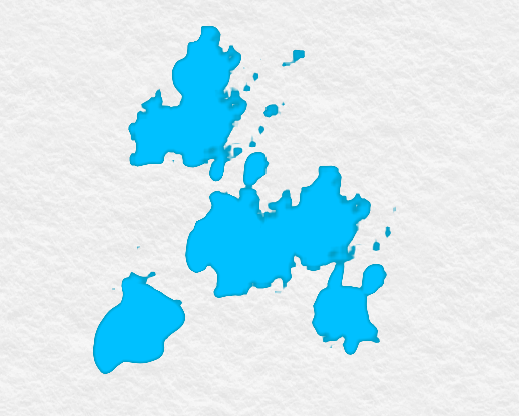 If you think about it, paint stains are formed by lots of different blobs and drops of paint merged together. We could just simulate this effect in our stain generator. To do this we needed some shapes to serve as our paint drops. Our artist drew some paint drops with varied shapes and amounts of detail. We then used this Node.js based tool to convert them to a signed distance field texture. Figure 5: All the paint drops used in our generator, in only a 128×128 texture! 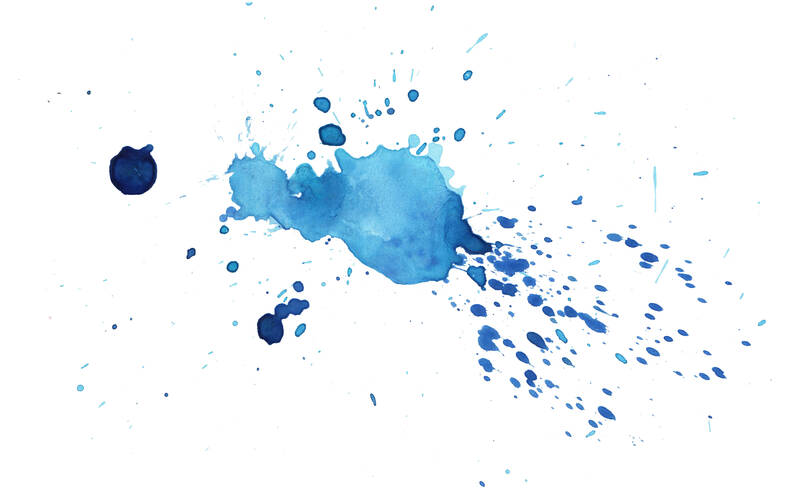 Figure 6: A paint stain generated by combining 20 random drops. Nice! 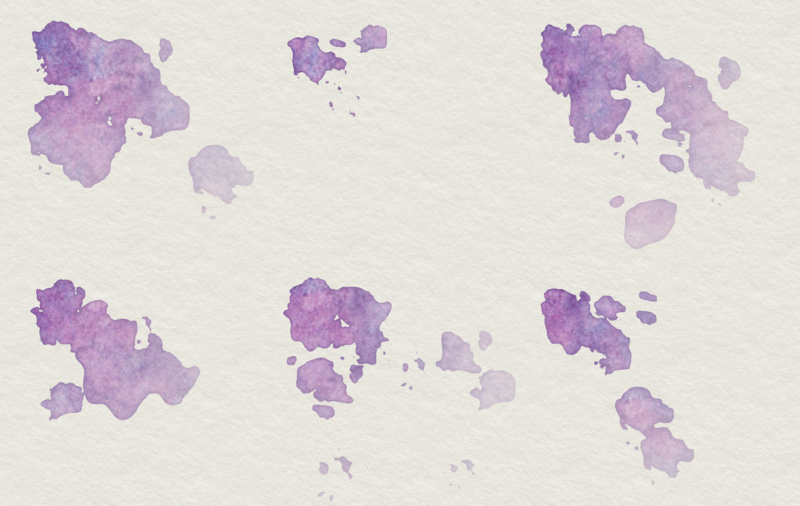 We can generate a basic stain shape. But it doesn’t really look like water paint yet, how can we fix that? Well, in our observations we noted water paint stains (and stains in general) appear to have a darker border. 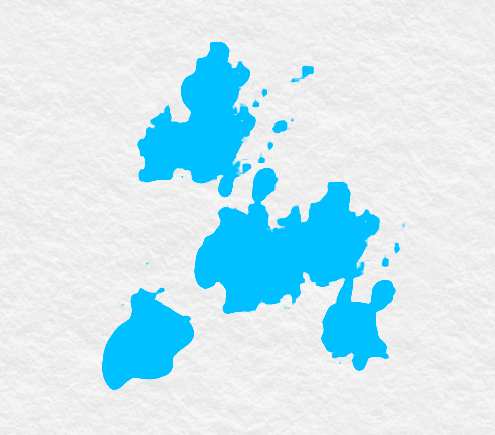 Luckily, dynamically rendering borders is very easy when using SDF’s. Since you know the distance to the sprite edge, you can use this to determine at pixel level whether to render a border or not. This is better, but it still does not look like water paint. There is no color difference inside the stain. We need something to add a little bit of detail. This is starting to look pretty good. The last thing we did was add an alpha mask over the whole stain to make it fade out in one direction. This part could use some improvements, but at this point reality caught up and we had to focus on other parts of the game to get it released in time. 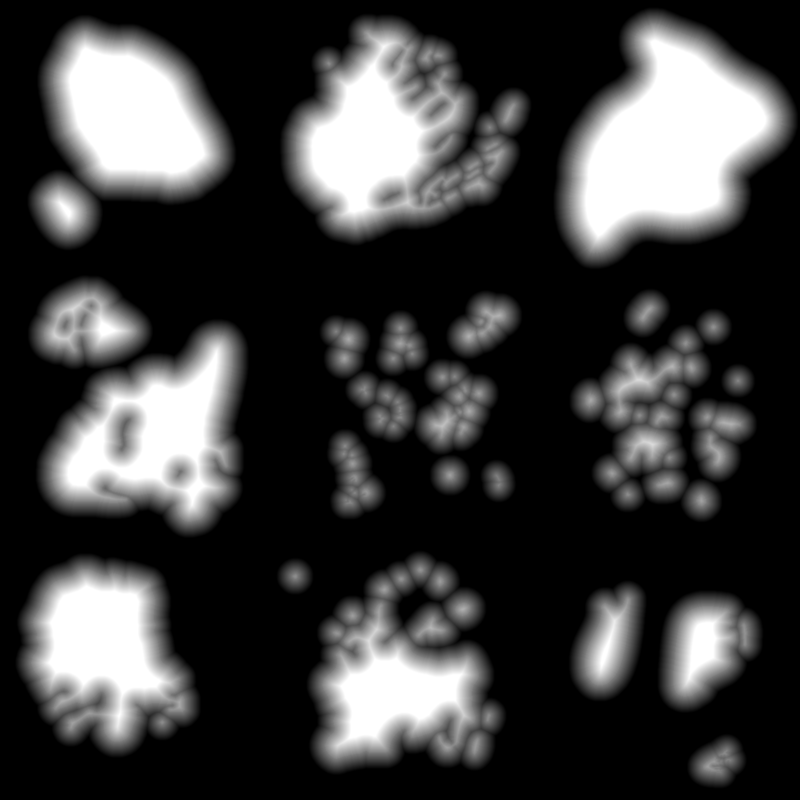 The generating of the stain initially already was quite fast, since it only has to blit the very small SDF images. Unfortunately. on slower Android devices it still caused a bit of a frame drop. 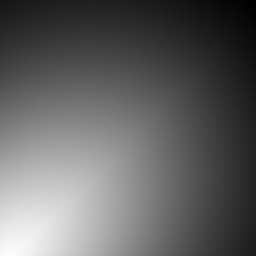 So, we decided to do the blitting on a background thread. Since the Unity Texture API only works from the main thread we had to keep a copy of the pixel arrays for both the drops and the stain texture. After the blitting was finished, we still have to call Texture.SetPixels and Texture.Apply on the main thread. Luckily these functions are fast enough to not cause any problems when only called once in a frame. Our example water paint stain has many small drops surrounding only one big drop. Our generator tends to generate multiple big drops and only a few smaller drops. This should be easily adjustable with a couple of extra parameters. The alpha mask fade-out is not very elegant and looks very uniform. Perhaps we could use another texture channel to indicate paint thickness and base the fade out and border intensity on that information. Our detail texture is also a bit uniform, which is necessary since it is tiled in world space. Ideally, we would want to be able to add some hue and saturation variation to it. We could easily generate this based on Perlin noise. As we are planning a PC release for Doctor Flow as well, we might pick this up and improve our stain generator for that release. In the mean time I hope you’ve learned something about the awesome versatility of signed distance fields!